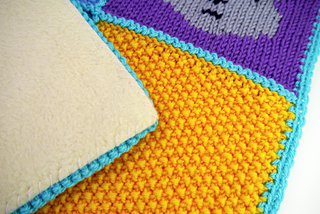 Make a cute and colourful baby blanket! 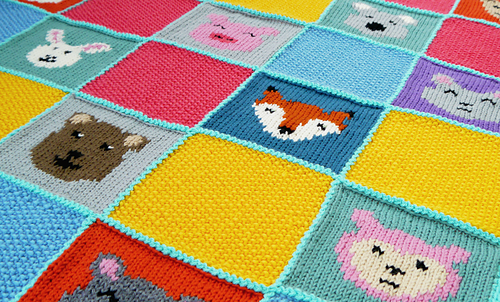 The blanket is made out of plain squares and unique animal squares, assembled using a super easy crochet technique. Its is finished with a crochet border and a fleece backing. 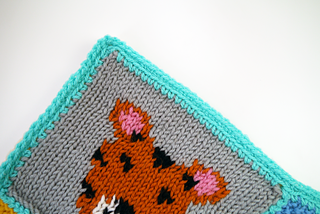 The pattern includes full step-by-step instructions, individual knitting charts and photos, and a stitch library. 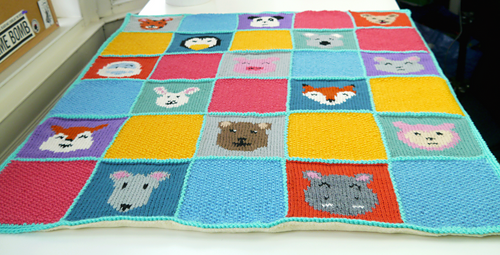 Each square was knitted using DK yarn and 4mm (US 6) straight needles. A great project if you want to learn different techniques and the result is super cute!